Confusion for Travellers regarding ATOL & other Holiday Bonding. Sept 12 2008: The XL Group, a major UK airline and tour operator went into liquidation, leaving thousands of British holidaymakers stranded abroad. Many thousands more risk loosing holidays already booked and paid for. “An army of British holidaymakers were stranded abroad today after the collapse of the UK's third largest tour operator. “Many holidaymakers affected by XL's collapse will be able to claim a full refund - but it depends on how they booked their trip. Those who paid by credit card or used a tour operator affiliated to the Air Travel Organisers' Licensing (Atol) scheme should get their money back. The demise of XL was shattering news to the travel industry. The fall-out left holidaymakers out of pocket and stranded abroad. ATOL bonded Tour operators, who had religiously paid their bonds to the CAA, had to pick up the bill. 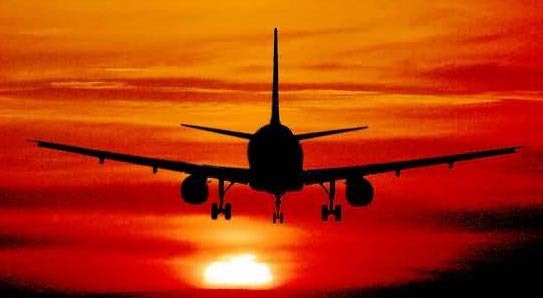 The ATOL bonded operators were obliged to repatriate their clients or find them alternative holidays and flights - all being paid for out of their own pockets, without help from the CAA. The financial implications were enormous and it is rumoured that the XL collapse cost one such operator, Co-Op Travel, £1.4 million. Many ATOL bonded operators feel that this is grossly unfair. Some holiday companies are selling holidays without any financial protection, such as an ATOL licence. Yet when the “bubble bursts” they run, cap-in-hand, to the CAA for repatriation of their clients. Meanwhile those who offer bonding have to suffer such appalling risks. Villa World Ltd, based in Cambridge UK, is a typical ATOL-bonded tour operator offering villa with pool holidays in Costa Blanca and 19 other resorts around the world. Some Villa World clients book a full holiday package, including flights, and are covered by our ATOL bond. The company recently polled 500 clients and asked them if they thought that their ATOL bond was an important reason for them to book with Villa World. 375 (75%) stated that this was the case but only 280 of them had actually booked the full package. The others where not coved by the ATOL bond because they had booked accommodation only. However, these clients were actually covered by another bond that we carry but the point is that they did not really know that they were not covered by ATOL. This is another area where so much confusion exists. In the majority of flight-only bookings the traveller has no financial protection except if they pay by credit card. Those who use a debit card only have protection for part of the cost. The XL Group collapse happened over a month ago now but the dust has not really settled yet for the travel industry. In spite of the dramatic fall in fuel costs many operators still have liquidity problems and there may still be more insolvencies. The general opinion among dedicated professionals in the travel trade is that the CAA should now stand up and spell everything out clearly to the travelling public. All holiday companies, airlines etc. should state clearly how their clients are protected financially. In every case where there is not complete protection this should be clearly stated. UK Travel Industry: The Current Situation - "Takeoff or Grounded" An interesting and informative article about the present state of the UK Travel Industry.